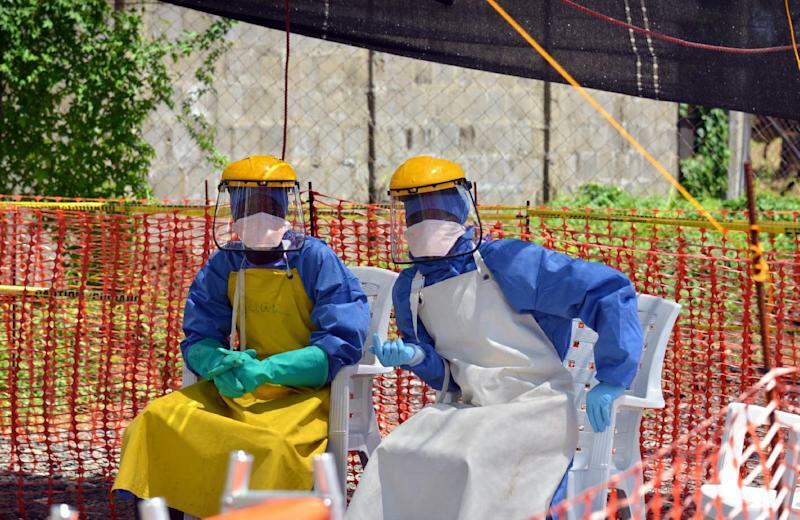 Arusha (Tanzania) (AFP) - East African nations are sending over 600 health workers including 41 doctors to west Africa to combat the spread of Ebola, the regional five-nation bloc said in a statement Friday. The decision was made after health ministers met this week, where they raised their concern at the "rapid increase in the number of cases and deaths" from Ebola, the East African Community said in a statement. As of Sunday, 4,493 people had died out of a total of 8,997 cases in the outbreak, according to the World Health Organization, which has warned that the infection rate could reach 10,000 a week by early December. The 619 doctors and health workers will be sent from Burundi, Kenya, Rwanda, Tanzania and Uganda. Kenya is sending 15 doctors while Uganda will send 14, as well as seven from Rwanda and five from Tanzania. Burundi is sending 250 health workers, and Kenya 300. The UN Security Council on Wednesday called on the international community to "accelerate and dramatically expand" aid to combat the spread of Ebola. On Thursday, African Union chief Nkosazana Dlamini-Zuma called for volunteers to help tackle Ebola's spread. Dlamini-Zuma said many countries had pledged help with hospitals and treatment centres but not many had pledged human resources. "We have to do more as a continent to mobilise human resources," she said.